It’s always fun to sort through all of the things that are relevant and have been used for celebrations of the Sabbats. There are so many for the Winter Solstice/Yule because of the cluster of other holidays that occur during this time of the year. 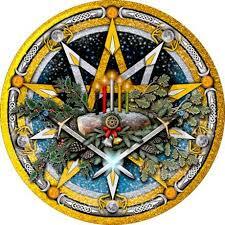 Many of the Christmas decorations and traditions were appropriated and adapted from the pagan practices. Over the next several days I’ll be highlighting some of these correspondences and offering some additional perspectives that you may wish to incorporate into your celebrations. So, let’s get started with some of the more common….